I'm sorry if this is posted in the incorrect location, I'm still trying to navigate through the forums, if it can be moved please do so or let me know thank you. If you're not inside, you're outside. All fountain pens have a sweet spot. It's a narrow combination of slant and orientation of the pen against the paper that for some pens is more narrow and for others less. 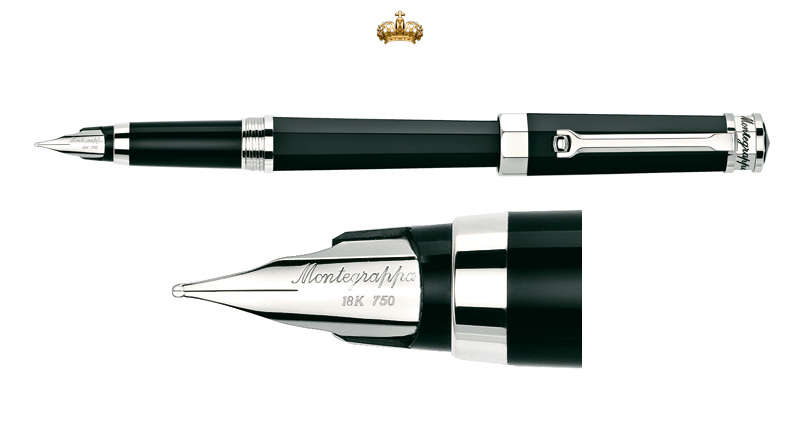 If you "rotate" writing instruments while you write, you will need to pay more attention when using a fountain pen. It's a matter of un-learning an old habit if that's the case with you. People who write a lot with pencils tend to do this, and this may very well be what's happening in your case. When a pen all of a sudden stops depositing ink on the paper and then writes again an instant later, and its orientation hasn't changed, it's said that the pen "skips," and this is due to an ink flow problem. If you're able to get a hold of another pen and the same happens, it is _possible_ that it's your hand (of course, it's not unheard of for two pens to be crappy). To test, do some random writing paying deliberate attention to how you hold the pen and try to ensure that it's on its sweet spot all the time. This way we can rule out skipping and take it from there. Ah, unlearning okay thank you alex i'll start testing now and inform you of my results thank you for your speedy response. One doesn't always find pen(s) that write in every directions. You didn't say whether the pen was new or was a used one as well what shape the tipping was ground. A pen with round ball type tipping on the nib would most probably write even if turned slightly right or left. The pen is new, the nib I'm presuming due to it being new is pristine condition and at the nib, it looks like a small protruding rectangle with a line down the middle. I've attached an image as well. Edited by The_Beginner, 06 September 2018 - 05:39.
that's one hell of a gift for a new FP user. unlearning bad habits is a huge part of using fountain pens. The result is not just an improvement in your writing with all writing instruments, but also a more comfortable grip for writing in long periods of time. Thank you honeybadger I will have to pass on your compliments as i had not known this was a good brand. As for writing style, what is the correct way of holding/using a Fpen. Edited by The_Beginner, 06 September 2018 - 08:29. Behind the big index knuckle, at 45 degrees, or if the pen wants, at 40 degrees at the start of the web of the thumb......or if it is long and or heavy let it rest in the pit of the web of the thumb at 35 degrees. Let the pen decide where it wants to rest because by forcing it, you must add pressure to holding a fountain pen. With a lighter grip, let the pen rest where it will. Hold a fountain pen very lightly, in no pressure is needed, in you do not have to turn a ball in the tip of a ball point. Hold the pen like it is a baby featherless baby bird. Do not make baby bird paste. IF posted like the picture, the pit of the thumb is where it should be, if not posted, and I think your pen is a Large one, it will rest higher. If held like a old style pre-gel ball point before the big index knuckle at 60-70 degrees or more, the ink puddle becomes tiny.............and one gouges little grand canyons in the paper. That also promotes scratchy. ***I too was ruined by 4 1/2 decades of ball point use. Using a ball point is like plowing the south forty with out the mule. Not that I held it before the big index knuckle, but I held on for dear life, like I was hanging on a cliff with one hand. I was Ham Fisted. I'd say the vast majority of us who came into fountain pens or came back after decades of developing muscles with a ball point were or are. 'Forefinger up' method of holding a fountain pen will give you a lighter Hand. A new pen must be cleaned....yours is a cartridge/converter pen, I would guess. I don't have that brand. So you need a rubber baby ball syringe to clean the pen and converter quick and easy. Makes it very fast to clean out old ink when you change inks. Same with the converter, if you are using it. Converters often have vapor lock and must be fiddled with or replaced with one with a little plastic ball, or one adds a small steel ball or spring......you have lots of time to read about that stuff. Look up Tripod grip....that is where the thumb is bent and at 10:00 the forefinger is bent and at 02:00 and the pen rests on the end joint of the middle finger. I changed from that Classic Tripod, in because of the bend of forefinger and thumb =....lots of pressure is added....that makes taking months to learn a light grip. Look it up and try it, so you know how. How ever, I find the 'forefinger up', method of grasping a fountain pen better, takes three minutes and is an automatic light grip. Help! How Do You Hold Your Fountain Pen? Richard Binder has a site , he was once one of the Guru's of pen repair, nib grinding and so on. His site is the Bible of fountain pens, nibs, filling systems, good advice about inks, and so many beautiful :puddle:vintage pens..................it will take you at least three full days to read it. It use to be 96.8% of all I knew about fountain pens.....now it is only 92.3%...after all one should have learned something in 10 years. Edited by Bo Bo Olson, 06 September 2018 - 10:10. Also learn to write with your whole arm instead of just your wrist and you will find writing more comfortable and reliable. Jar is right, you can write for hours if you use the correct arm writing technique. This can be hard to master though, and your handwriting's legibility will likely take a hit as you relearn how to write this way, LOL. But crawl before you run, eh? Take a look at the closeup of the nib. That slit down the middle divides the nib into two tines. The tips of both tines need to be touching the paper in order for the ink to flow out onto the paper. Thus, if you rotate it too far to the right or left, so that only one tine is touching the paper, it won't write. It will also, likely, feel rather scratchy. That's not the only reason for a pen failing to write, but it's something you need to be conscious of as a newbie, until it's just a habit to keep the pen aligned correctly. Ah, thank you all for this amazing advice i can't wait to try it all thank you all. We all started out ignorant...and learning here is fun, there are no tests!!!!! We are all having fun, so want you to have some too. Soon you will have a small crayon box of colors to play with....that will grow with time. We are living in The Golden Age of Inks. Good to better paper for scribbling....90g or better is a must.......80g copier paper is for the copier. Yes, a ream of 500 sheets of 90g paper does cost twice as much as normal copier paper....but a ream of 500 sheets can last you two to three years....if you don't get stupid and put it in the printer. Ink Jet paper is a big no no...it is the Feather King.....so avoid it like the Plague. Edited by Bo Bo Olson, 06 September 2018 - 20:26. One other thing you might want to check is how you hard you press on the tip. Ball pen and pencil users press down hard. With a fountain pen, it can just float over the paper with no pressure. The grip discussed above can help you do this. It is just learning how to do something differently. Experiment and when you get it right, you will understand why there are fanatic fountain pen users. Parker Quink Black is also a pretty dry ink. You might try something from Waterman. what's the difference in inks? Edited by The_Beginner, 07 September 2018 - 00:59. Next thing to keep in mind is that you can buy ink samples (you'll need a converter if that pen didn't come with one). This will get you 2-4 mL of ink for $1.25 - $4 - ish (depends on store, ink, volume) to try out before you commit to a whole bottle. Beyond that, inks have different properties which will influence which ink works best for you and your pen (not all inks work well in all pens - it's an individual sort of thing). Some inks are saturated (they put down a solid, vibrant line of color). Other inks are less saturated and will often "shade" (something influenced by pen, paper, and ink) - where the ink color is lighter where the pen starts a stroke and darker where the pen lifts from the page. Some inks (usually heavily saturated ones) will "sheen" - they have a metallic sheen sort of like oil on water in some color other than the ink color (e.g. blues that sheen usually sheen red). If you google image search "fountain pen ink shading" or "fountain pen ink sheen", you should see some examples. Some inks are permanent (waterproof or more), other inks are not (one drop of water and the ink runs like the feds are after it), some partially waterproof. Some inks take a long time to dry, others dry quickly. Some inks soak into the paper, bleed through, and / or spread out or feather (create little wisps that follow the paper fibers) and some don't (this is as much to do with the paper as the ink). See? Rabbit hole. But a fun one. From what i'm getting though is that wet is better than dry, am i correct to assume this? That depends on the user and on how wet. If you try various samples, you'll get a feel for what you like in your pen. Ah okay, what would be good test ink brands for both dry and wet? Any brands you can recommend?